94, entered into Eternal Rest, on Thursday, April 12, 2018, when she was reunited with her beloved husband of 43 years, George Kolba, Sr. She is predeceased by her parents Rafael and Eva Petrofski and her 4 siblings, Joe & Stephen Petrofsky, Sally Luby, Helen Mnahoncak. She is survived by her three sons and daughters-in-law, Mr. and Mrs. George (Carolyn) Kolba, Jr., Johnson City; Mr. and Mrs. Ernest (Patti) Kolba, Vestal; Mr. James Kolba, formerly of Johnson City; and her daughter, Miss Shirley Michno, Johnson City. She is also survived by 9 grandchildren & 12 great-grandchildren. She also leaves behind her special friend Gene Lupinsky. 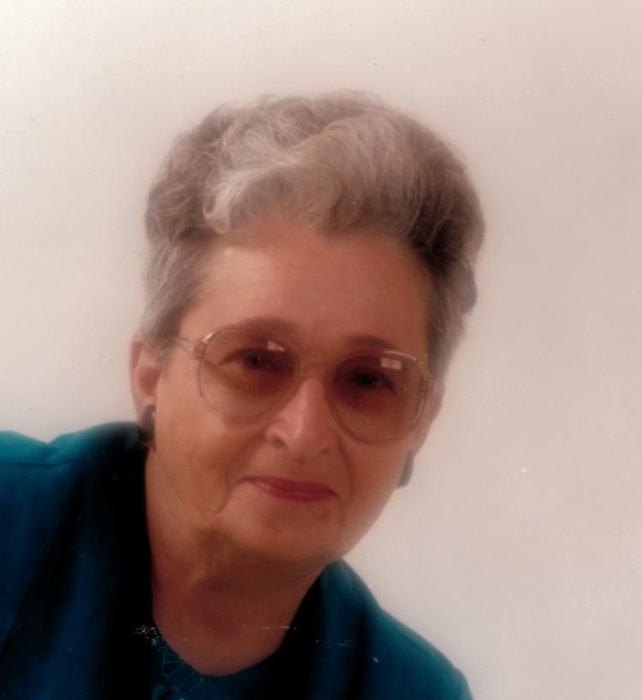 Born in Bridgeport, Connecticut, she made her way to Johnson City where she met the love of her life, George Sr. She was co-founder of Kolba Construction Co. Inc., and a member of All Saints National Catholic Church where she served on the Women’s Society of Adoration of the Most Blessed Sacrament for 25 years. Her love was shared in many ways but none will be remembered more so than her Sunday family gatherings complete with homemade soup. The family would like to thank Willow Point nursing home, especially the entire staff of North Floor 2. Special thanks to Dr. Ahmad and Ken DeMott for all of their efforts throughout her stay at Willow Point. Funeral Services will be held on Monday at the Barber Memorial Home, Inc., 428 Main St, Johnson City at 8:30am and 9:00am at All Saints National Catholic Church, 42 Harry L. Dr., Johnson City. The Rev. Dennis Ruda will officiate. Entombment will be in Vestal Hills Memorial Park. The family will receive friends on Sunday from 5:00 p.m. to 8:00 p.m. at Barber Memorial Home. In lieu of flowers the family asks that you consider a donation in Jennie’s memory to the charity of your choice.